In populations migrating to other countries, environmental factors have been found to play a significant role in the causation of cancer. Although the contribution of environmental influence depends on the type of cancer, the incidence of many cancers changes by five to ten times among migrants over time, approaching the same level as for host country residents. Environmental factors such as diet may have impact on the frequency of cancer occurrence through various mechanisms and at different stages in the cancer process. Simple mutagens (chemicals in food that cause genetic mutations in cells) in foods, such as those produced by the heating of proteins, can cause damage in DNA in body cells. The most important impact of diet on the risk of cancer development is mediated through body weight. Overweight, obesity, and sedentariness are major contributors to cancer risk. Obese individuals have higher frequency of colorectal (large intestine) cancer, post-menopausal (after menopause) breast cancer, uterine cancer, pancreatic cancer and gall bladder cancer. Higher waist circumference is an important predictor of colon cancer incidence among women and men. Weight gain of 22lb (10kg) or more is associated with a significant increase in post-menopausal breast cancer incidence among women, while weight loss of comparable degree after menopause significantly decreases the risk of breast cancer. Regular physical activity contributes to a lower prevalence of overweight and obesity and consequently reduces the burden of cancer. Overweight is strongly associated with increased estrogen levels in blood, which is related to a higher risk of endometrial (uterus) and breast cancer. Fruits and vegetables are considered to be the major contributor for cancer prevention. Alcohol consumption is an established dietary risk factor for cancer. Alcohol has been classified as a carcinogen by the International Agency for Research on Cancer. Consumption of alcohol increases the risk of many types of cancer including those of the oral cavity, pharynx, larynx, esophagus, liver, large intestine and breast. In the developed world about 75% of cancers of the esophagus, pharynx, oral cavity and larynx are attributable to alcohol and tobacco, with a significant increase in risk among drinkers who also smoke. The association between alcohol consumption and breast cancer has been found even when having one drink per day. 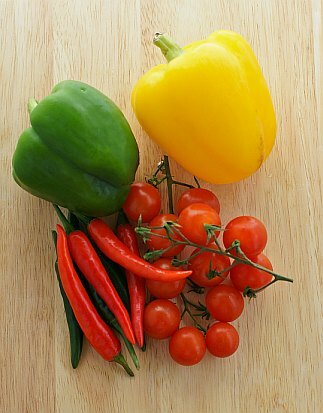 Fruits and vegetables are considered to be the major contributor for cancer prevention. They are rich in potential anticarcinogenic substances, contain antioxidants and minerals, are good sources of fiber, potassium, carotenoids, vitamin C, folate and other vitamins. It is therefore advisable to consume 4-5 portions of them daily. Dietary fiber consists of plant polysaccharides and lignin which are resistant to hydrolysis by the digestive enzymes. It is fermented by the bacteria of the colon. The fiber acts as a bulking agent (absorbs water to form bulk) and thereby reduces colonic transit time. This reduces the time available for binding of potentially carcinogenic chemicals to the intestinal cells. Fiber may also aid in producing short-chain fatty acids that may be directly anticarcinogenic. Dairy products – frequent dairy consumption may increase the risk of prostate cancer. Red Meat – regular consumption of red meat has been associated with an increased risk of colorectal cancer. Vitamin D – high intake of vitamin D have been associated with a decreased risk of cancer of the colon, breast, prostate and pancreas. Solar ultraviolet-B radiation is the major source of vitamin D. To achieve sufficient levels through sun exposure, at least 15 minutes daily of full-body exposure to bright sunlight is necessary. Sunscreen effectively blocks vitamin D production. Populations living in geographic areas with limited or seasonal sun exposure may benefit from vitamin D supplementation of 1000 IU/day. Cancer is related to multiple causative risk factors. Diet forms an important environmental component of the risk factors. Depending on the type of cancer, certain types of food may have a significant role. Any person with higher risk of cancer due to positive family history of a particular cancer should take dietary advice from their physicians. ← Are pregnancy tests reliable?